PTC in collaboration with Dr Horswell and Dr Ambrose facilitated a very unique experience to the Institute of Environmental Science and Research (ESR) lab facilities for 25 Whanganui students who were about to engage a year long science investigation of greywater and its effect on native plants. Many countries, including New Zealand, are investigating alternative water management practices to address increasing demands on freshwater supply. One such practice is the diversion and reuse of household greywater for irrigation (Zaayman, 2014). Greywater is all the household wastewater from kitchen sinks, dishwashers, laundry tubs, washing machines, showers, baths and basins. Whilst use of greywater is a common practice; many young people are unaware that how we recycle and reuse this greywater can adversely affect the quality of our rivers and streams. Scientist Dr Vikki Ambrose and Senior Technican Izzy Alderton provided a comprehensive overview of the work being done at ESR on greywater to raise awareness of greywater. 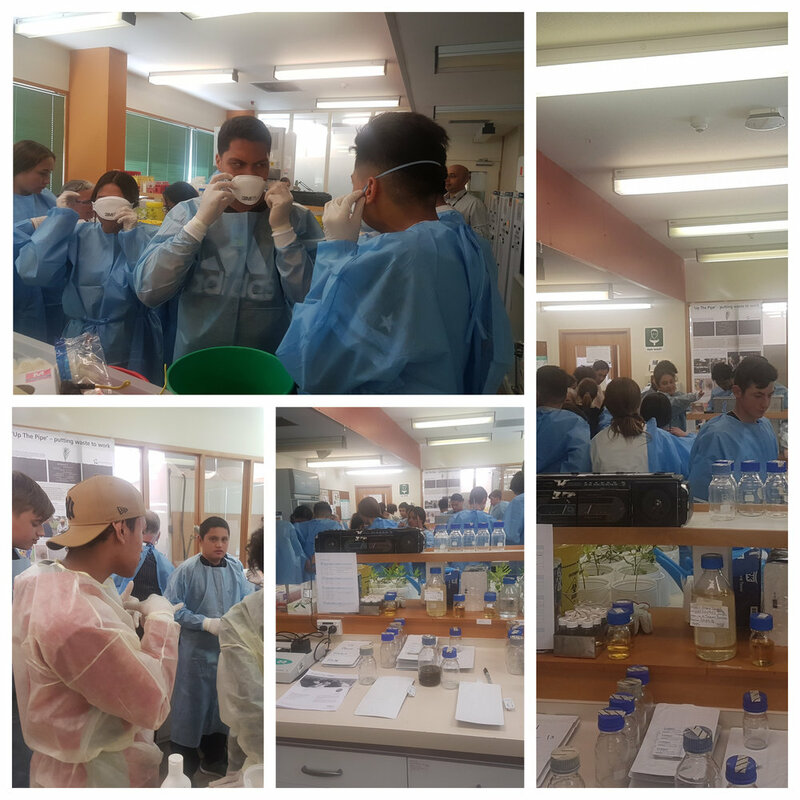 Spending a day in the lab, students learnt about greywater; conducted tests on good and bad greywater; analysed cow slurry in a lysimeter type experiment and had a fabulous time making their own greywater. Behind the practicum students gained knowledge that untreated greywater can have impacts on water quality and public health through high bacterial loads, nutrient discharge, biological oxygen demand and salinity impacts. They were becoming equipped to devise future solutions to the water challenges facing the world with depth of insight and practical understanding. can help to decrease the requirement and reliance on the mains water supply system. can affect how much wastewater has to be treated; decreasing wastewater peak flows discharging to council’s wastewater system. 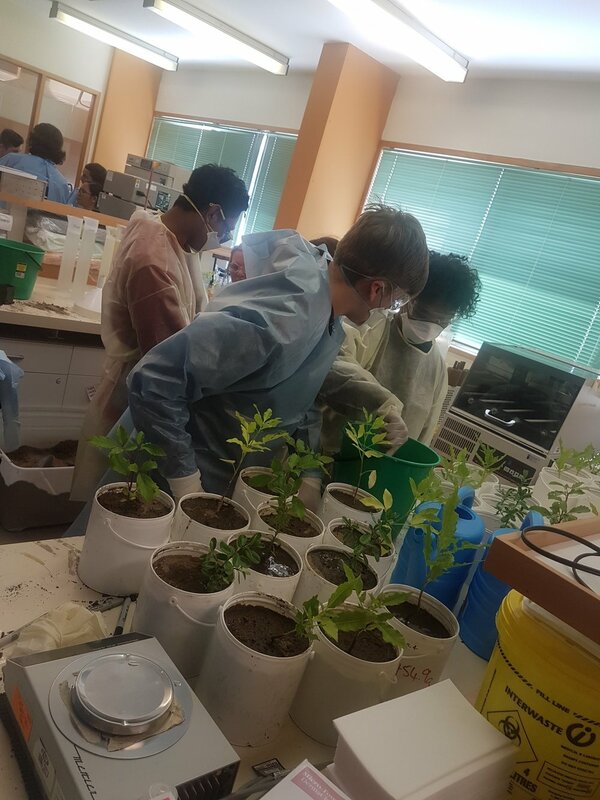 Whilst students appreciated the need to reuse greywater; they became equally mindful of the techniques, tools and requirements for very strict guidelines and operating practices in order to minimise health risks. Rangatahi engaged in a series of tests that analysed the harmful effects of using greywater if not properly treated. Dr Ambrose explained that without accurate scientific understanding and reasoning, the temptation is simply to let greywater discharge into the nearest drain or onto surrounding land in the hope that it will soak away. 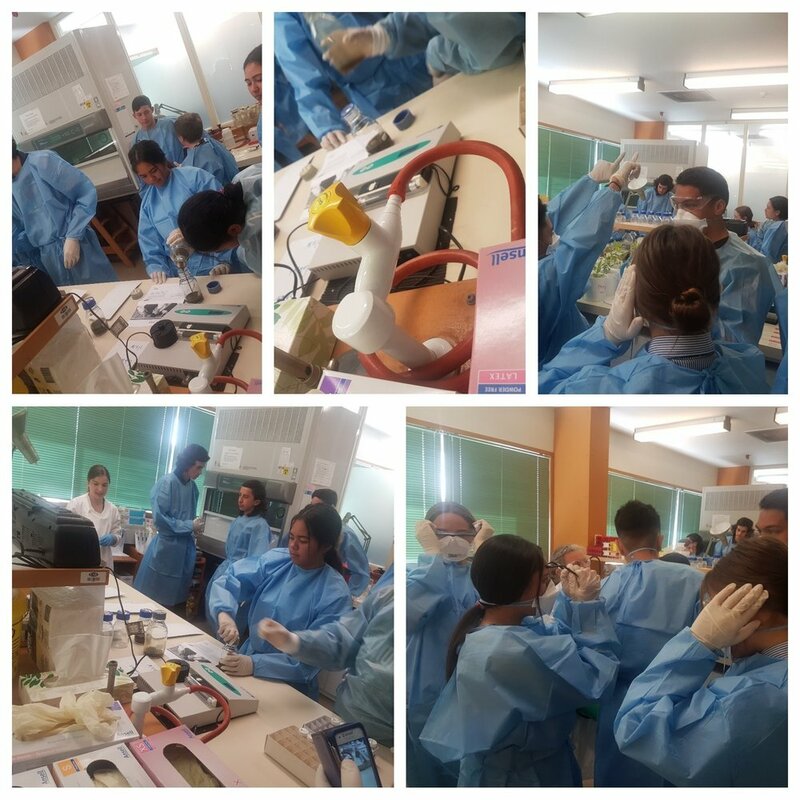 Students observed first hand that "such out of sight is not necessarily out of harm's way". This is because greywater contains contaminants such as soaps, lint, and silt, and from the kitchen sink, fats, oils, greases and organic solids which can be harmful to our native plants. As a result its use must be accompanied by a properly installed system that provides sustainable practices for greywater management. Our group visited one such system in Paraparamu where residential owners Allen and Beverly have installed and manages their own greywater system. Collecting and storing the rain water from their roof; students observed a greywater system in use. 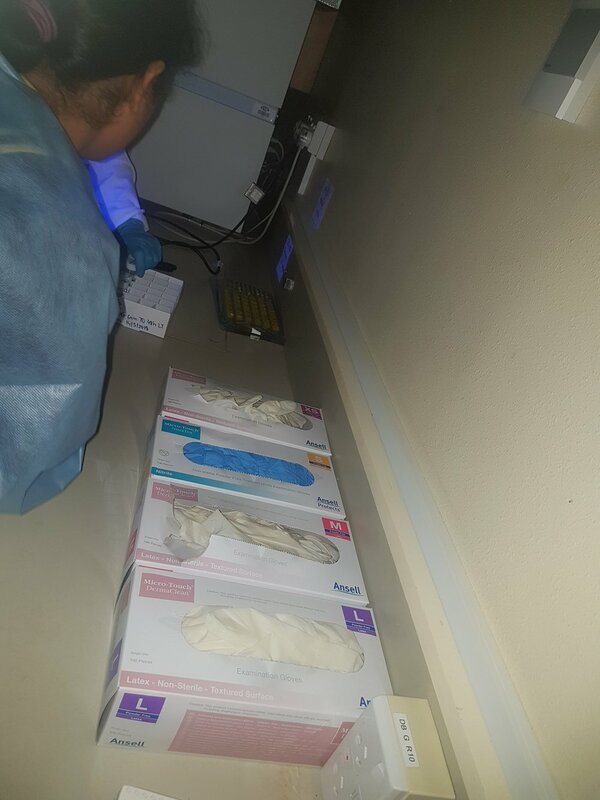 They learnt the various stages of the process including ensuring the mains water is isolated from the rainwater system; use of a backflow prevention device and requirement for annual checks. Rangatahi unearthed some of the underground structures that were built for this system. Many taking to their knees to uncover and see the hidden 9/10ths. 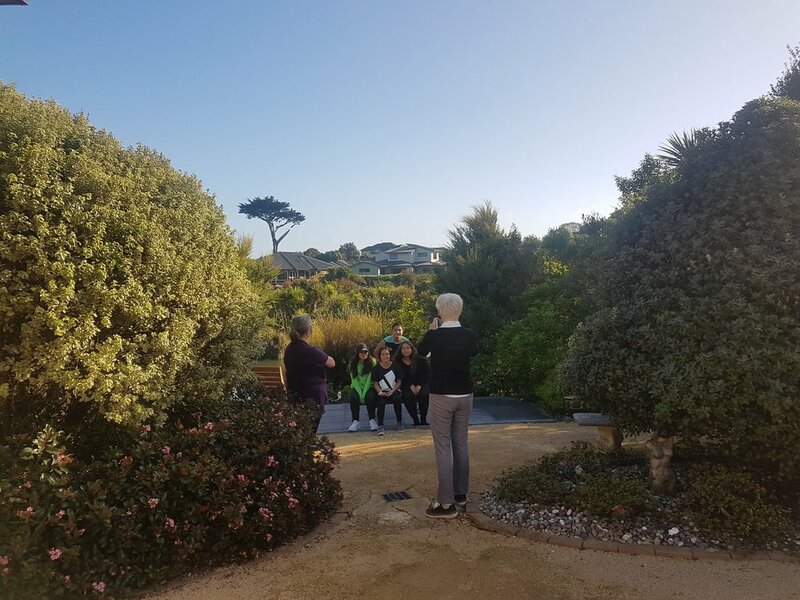 Students also spent time in the beautiful gardens being irrigated by the recycled greywater and appreciated the regular maintenance and visits by ESR as the latter continually monitors the system for bacterial contamination. Many Regional and District councils are now considering alternative water management strategies, including rainwater collection and greywater diversion. However, according to the Centre for Integrated Biowaste Research there is still no national legislation or guidelines currently exist for rainwater or greywater practices, and there is a lack of health risk assessment data specific to New Zealand conditions. At the end of the visit, our youth were empowered to continue raising awareness around safe greywater practices. The PTC workshop has also been showcased in the CIBR June 2018 newsletter. Our young ambassadors are currently creating their own greywater system at school as a means of furthering the learning received. Native plants have been supplied through PTC. Students are also communicating their learning through a blogpage that they have developed. The blog continues to provide useful information to the wider Whanganui community and whanau about the environmental benefits of greywater. Students have continued updating their website for the wider community.